Democratic Senators Chuck Schumer and Bernie Sanders are working on legislation to limit corporate stock buybacks. It’s a noble quest that is doomed to fail. In their Feb. 5 New York Times op-ed, the Senators wrote that corporate boardrooms have become obsessed with buybacks to boost share prices at the expense of investing in their people, R&D and capital expenditures. Wall Street, of course, is hooked on buybacks. On same day the Times published the Schumer/Sanders op-ed, Wall Street punished Google parent, Alphabet, for the audacity of spending $7.1B for capital expenditures during quarter ended Dec. 31. The Financial Times called the outlays "an unprecedented investment binge, denting profit margins and leaving Wall Street with a fresh bout of concern over the Internet group's periodic surges in spending." Alphabet didn't exactly fritter the money away. It spent funds for licensing original content for YouTube, which is trying to build a premium subscription business, and expanding cloud computing capacity. Alphabet chief financial officer Ruth Porat felt compelled to explain the reasoning behind the so-called investment binge. "The main thing you're seeing in the margins is, we continue to see tremendous opportunity across Google, so we're investing to support long-term earnings and revenue growth," she said in a Feb. 4 conference call. What nerve! Spending for the future, egad.. Alphabet shares slipped three percent on the spending news despite a robust performance in its mainstay advertising business. Wall Street was bummed. It was salivating over the prospect of Alphabet increasing its stock buyback authorization from $12B to $15B, up from the $8.6B authorized in January 2018, according to a note from Jeffries analyst Brent Thill. Meanwhile, Wall Street worries that Alphabet could acquire a big software company to boost its cloud-computing business. "A large software deal could eat up a lot of cash," warned Investor's Business Daily. C'mon, Alphabet is hardly broke. Despite $25B in capital outlays, Alphabet earned $8.9B on $39.3B for 2018. It has $106B cash on hand. The company should be applauded, not jeered, for spending for future growth. Schumer and Sanders wrote that between 2008 and 2017, 466 of the S&P 500 companies spent around $4T on stock buybacks, equal to 53 percent of profits. An additional 40 percent of corporate profits went to dividends. "When more than 90 percent of corporate profits go to buybacks and dividends, there is reason to be concerned," they wrote. Any legislation introduced by Schumer/Sanders to restrict the right of Corporate America to spend money any way its leaders see fit is DOA in the Republican Senate that is supported by a pro-business president. But surely financial PR people can begin the very long process of changing the mindset of Wall Street and corporate management that buybacks are good and spending for the future is bad. 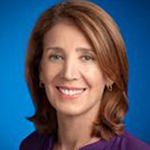 Porat, an executive VP at Morgan Stanley prior to joining Alphabet, would be a great spokeswoman.